How has the web changed the way we connect with one another? Believe it or not, the world wide web recently celebrated its 30th anniversary. The internet has evolved from a tool used by researchers to one we all depend on in our daily lives to stay connected with our peers and those we love. 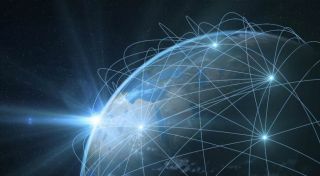 TechRadar Pro spoke with Cisco’s Chief Technologist Chintan Patel to better understand how the web has changed over the last 30 years as well as what the next 30 years hold for the future of connectivity. How has the Web has changed over the past 30 years? What has it made possible? Over the last 30 years, the Web has had an enormous impact on our lives. It has acted as the foundation for much of what we take for granted today – from the first website server in 1990 to the first full-text search engine in 1994, all the way through to the launch of the first iPhone in 2007. When you look back at where we were 30 years ago, who could have imagined that it would be possible to shop from a computer, or hold real time video conversations with someone on the other side of the world using a telephone? The Web has completely transformed the meaning of ‘being connected’. Not only can we connect to a multitude of different devices, but thanks to the Web we can talk to businesses and other people at a touch, swipe or click of a button. We’ve also never been more informed or had more opportunities to learn. Over half of the 1,000 people surveyed in our research to mark the 30th anniversary of the Web said that the internet has enabled them to learn new skills, allowing them to pursue opportunities which may not of been possible hadn’t it been for the Web. The potential of distance learning has also skyrocketed, with approximately 500 European institutions providing short course and entire degree programmes from a far or remotely, which – when combined with advancements in technology – are creating opportunities which would never have been possible. What industries/areas have benefitted the most from World Wide Web (WWW)? In the eyes of the British public, the entertainment sector has been the biggest beneficiary of the Web to date and it’s hard to argue against it given the magnitude of the industry today. The way people are entertained has evolved massively since the Web was founded in the 80s. People now look to their mobile devices, smart TVs or laptops for entertainment where they can access a near endless supply of content tailored to their personal interests. A far cry from what was once possible. On a societal level, the educational landscape has benefited massively from the WWW. It has allowed educational institutions to transform how they teach the next generation, using connected devices and being able to access information on a platform in a matter of seconds rather than rummaging through books in libraries. This feeling is particularly shared amongst the younger demographic, with 46% of 16 to 24-year olds believing the Web has impacted education in a positive manner. In the years to come, we expect to see education continue to transform as new skills are needed for the future workforce. What are the most positive things that the Web has done for society? Almost half (46%) of Brits surveyed believe the most positive thing the web has done for us is ‘connect people’. Particularly amongst the older generations, the web’s ability to connect people has been the most positive thing it has done for society. Another aspect it has provided is the ability to give everyone a voice, which 22% of Brits believe is the most important thing the web has brought us. Additionally, it has changed education and empowered new ways of learning. This in turn ensures that the UK’s workforce has the skillset it needs to occupy roles which are becoming increasingly digitised. And, what do you expect the next 30 years to bring? Technology is on an exciting path. From driverless cars to intelligent sensors, the Web is opening almost unlimited possibilities. Interestingly, in the UK over half (51%) of people expect that healthcare will see the biggest digital transformation, particularly relating to how we access it. We’ve already seen digital disruptors enter the market, with the likes of e-doctor and Babylon offering guidance through video calls and advice available at a time convenient to you. That said, whether it’s healthcare, retail, financial services or manufacturing, the Web has made accessing these services easier and simpler and we can expect this trend to continue. What role will the Web play in opening the possibilities of industries/opportunities in years to come? The pace of change is showing no signs of slowing down in the years to come. Two-thirds of business leaders highlighted that the organisation they run today is completely different to how it was two years ago. Levels of connectivity will continue to grow at an exponential rate. This leads us towards such an exciting future. Anything that can be connected will become connected. We’ll see new technologies like AI work with humans to solve some of the bigger challenges facing the world, such as drug discovery and new techniques to treat illnesses. In the years to come, as we begin to connect the 50% of today’s population who are unconnected and bridge the digital divide, we will be able to bring together talented people from around the world to tackle societies biggest problems.